Business success depends on the timing and fulfillment of customer-centric needs or desires. Many companies get that right, although some of it is simply by luck. On the other hand, long-term and sustainable success requires, among other things, the critical element of a highly engaged workforce. This is always a deliberate effort by leadership to gain the commitment of their people…and never happens by luck or happenstance. This brings to mind the email signature line from my good friend and colleague, Mark Herbert, “Leadership is a moral contract between those who wish to lead and those who choose to follow.” In his book, “Managing Whole People, One Man’s Journey”, he talks about employee engagement as a function of understanding the entire person – not just what they do at work, and not just based on talent. You cannot effectively lead and simultaneously ignore the totality of the individual. I resoundingly agree with this and submit that the whole person is comprised of deep layers, many which are hidden, sometimes even to the person themselves. While employee engagement is largely a function of fitting the talent to the opportunity as exemplified in How Best-In-Class Companies Hire Differently, this isn’t enough to fully engage the employee. They must be led well, and this requires an understanding of the individual, and often the hidden, personal motivators of the whole person. Personal motivators, as the name implies, are unique in importance and rank to each individual. There are 6 motivators that we look at through our assessments, but let’s look at two specific motivators by way of example for how to lead more effectively. 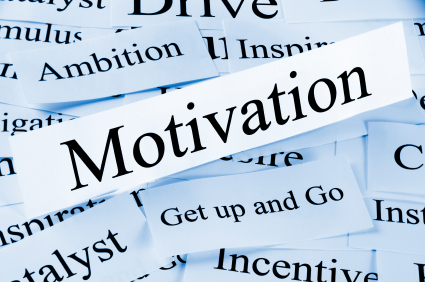 To assume that all sales people are motivated by money alone is a poor leadership practice. Money is certainly one of the 6 motivators, but I have encountered even “thoroughbred” top performers in sales who don’t have money as their #1 personal motivator. In fact, it rarely is. Matthew is the VP Sales for an international software development company and hired Jacob two years ago because he was a top sales performer at his previous company. For the first 18 months, Jacob surpassed all of his sales goals like clockwork, becoming among the top 3 in the department of 89 sales reps. He earned commissions and incentive bonuses that nearly doubled his annual salary, several times being the top rep of the month. Recently, Jacob’s enthusiasm has subsided to the point where he is performing at an “average” level. Because Matthew treats all of his reps the same, he figures that the huge commissions and bonuses are enough, so Jacob’s attitude concerns him. What he discovered is that Jacob’s #1 personal motivator is Status & Recognition. Matthew has never made a big deal out of “rep of the month”…until now. Instead of merely implementing an awards program, Matthew has the top 3 reps “mentor” the B+ and B reps (the ones who have potential to raise the bar across the board) by sharing what’s working for them and talking about their success stories during team meetings. Jacob responds by quickly regaining a top 3 rank so he gets to help others as he is recognized for this “elite” status. Timothy is a powerful and charismatic R&D Director for a manufacturing company, and reports directly to Rebecca, who is the COO. While Timothy is typically “on point” with Rebecca’s directives, occasionally his ego gets the best of him as he leads “Tim’s team” how he sees fit. Rebecca knows that Timothy’s #1 personal motivator is Personal Relationships, particularly 1:1. While she’s always had an open door policy, she makes it a point to not have enough time to simply allow Timothy to walk in…especially when she knows he’s running on his own agenda with his team. When Timothy is keeping in alignment with the directives she provides, she spends “extra” time with him, fostering a stronger professional relationship between the two of them. By reinforcing positive behavior, the instances of Timothy leading “his team, his way” are minimized without the need for an “intervention” to help Timothy correct his course. What Rebecca found is that Timothy is more fully engaged in his role, successfully averting a Pied Piper effect where she might lose the entire R&D team in a “Rebecca vs. Timothy” power struggle. When you lead someone in a way that is natural to them, they will follow with more enthusiasm than if you lead your own way. Otherwise, the “leader” is really just a manager with a glorified title. This is where HR once again has the opportunity to become heroes to the organization. By using assessments beyond just screening tools for hiring purposes, they can help set the stage for future higher engagement within the workforce. Embracing this concept is just the beginning, ensuring that it is the fabric of the entire organization is where the real victory takes place. According to Aberdeen Research, Best-In-Class companies do this quite well. Yes, they use assessments for recruiting, but then they train their managers and leaders for how to implement the understanding they’ve gained from the assessments for maximum engagement. Apparently, they do an excellent job with it too because Best-In-Class companies have a 59% engagement rate versus 40% of all others. Saving time by identifying those hidden personal motivators of the whole person translates to making leaders look like geniuses for knowing the best way to lead their followers. But that’s not enough. Educate the leaders for how to use the information gained so their leadership rises to a new level of effectiveness. That, in turn, will make HR look like geniuses to the leaders.